When we roll our smokes, we then have to re-fold the paper in order to make for easier rolling. What we realized was that we could invent a new way of interleaving where each sheet would be folded at the PERFECT spot for rolling. 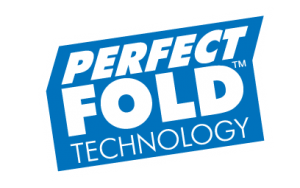 Alas, now we can finally bring you ELEMENTS PERFECT FOLD. They're easier to roll than regular interleaved papers. This, coupled with our CrissCross run-preventing watermark and ultra thin rice paper, together we are making Elements the greatest thin rolling papers ever made.